If you need inspiration for what to make for breakfast this Christmas break, try one of these simple and basic but good recipes. These recipes will feed 3-4 people. In the morning, remove from the refrigerator 30 minutes before baking. Remove the foil and bake at 350° for 50-60 minutes or until set and browned. Let stand for 5 minutes before cutting. 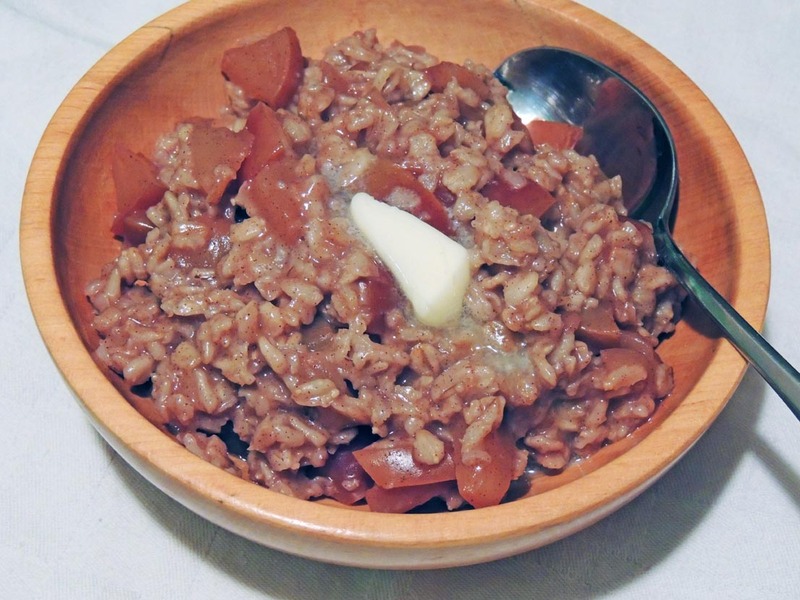 By soaking the oats overnight, you break down the antinutrients (phytic acid), making the oats more digestible. Soak oats in water overnight. Drain in a sieve. Saute apple in butter in a medium saucepan until softened, about 8 minutes. Stir in soaked oats, milk or water, cinnamon, and sea salt. Bring to a simmer and cook over low heat for about 5 minutes or until thickened to your liking. Serve with more butter, maple syrup, and chopped nuts.